Those beautiful holiday cards! They all come in for weeks and are displayed for their beauty until after the holidays are over. Then what? Whelp, I’m not throwing them away – what a waste. These days I’m turning them into small gift boxes. Now isn’t that the ultimate repurposing in action? I take one of those holiday cards with a cute design on front. It’s best to use one that has at least a semi-centered design. Then I cut the front of the card from the back, leaving me two equal halves of the same card. I’ll focus on the front of the card with that beautiful design first. Then I repeat on the other side. What I’m left with is a penciled-in ‘X’ in the exact middle of the card. 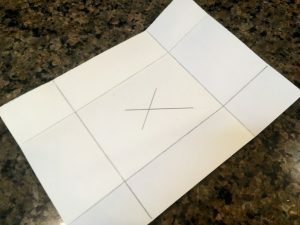 Now I fold the short end to the middle of the X where the lines intersect and press to crease. I repeat that with the other short end, and then with each long end too. I’m just creasing the sides of my box at this point, see? 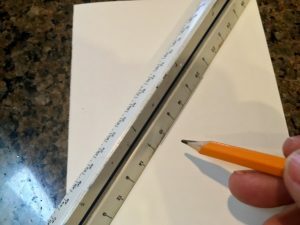 I drew lines along the creases so you could view them easier. You can erase the pencil X now, you no longer need it. Starting at the corners on the short end, cut the crease alongside the long end just to where the creases intersect. You repeat this on the other side. These tabs will help form your box. 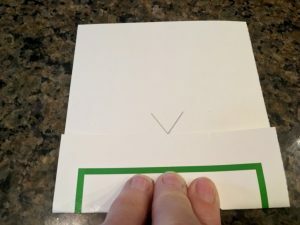 Now you fold the flaps together (tape if you want) and then flip the remaining tab over and around. It’ll be a little longer than the side tabs so it folds over & makes a nice finished edge. Tape or glue to secure. There – the top of our repurposed greeting-card box is complete. Isn’t it cute?? Now to assemble the bottom. You want it to be slightly smaller than the top so that the box will fit together easily but snugly. So I cut 1/4″ inch off of just one of the short ends, and 1/4″ from just one of the long ends. Now you have a slightly-smaller version of the front of the card. So you follow the exact same directions for folding, creasing, cutting and BOOM! 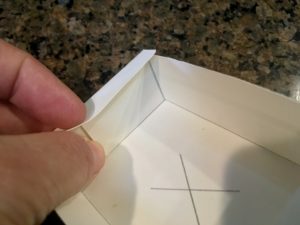 There’s the bottom of your box. The top should slide on it easily yet snugly. 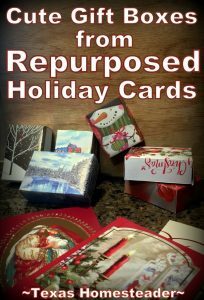 What a cute way to repurpose those beautiful cards after they’ve brought you joy all season. I plan to use them to hold our homemade soaps and give them as gifts. How Will I Be Able To ‘Provide’ Christmas This Year? A Small Christmas Tree Can Be BEAUTIFUL! Want To Keep Christ In Christmas? C’mon by & sit a spell! Come hang out at our Facebook Page . It’s like sitting in a front porch rocker with a glass of cold iced tea. There are lots of good folks sharing! And you can also follow along on Pinterest, Twitter & Instagram. 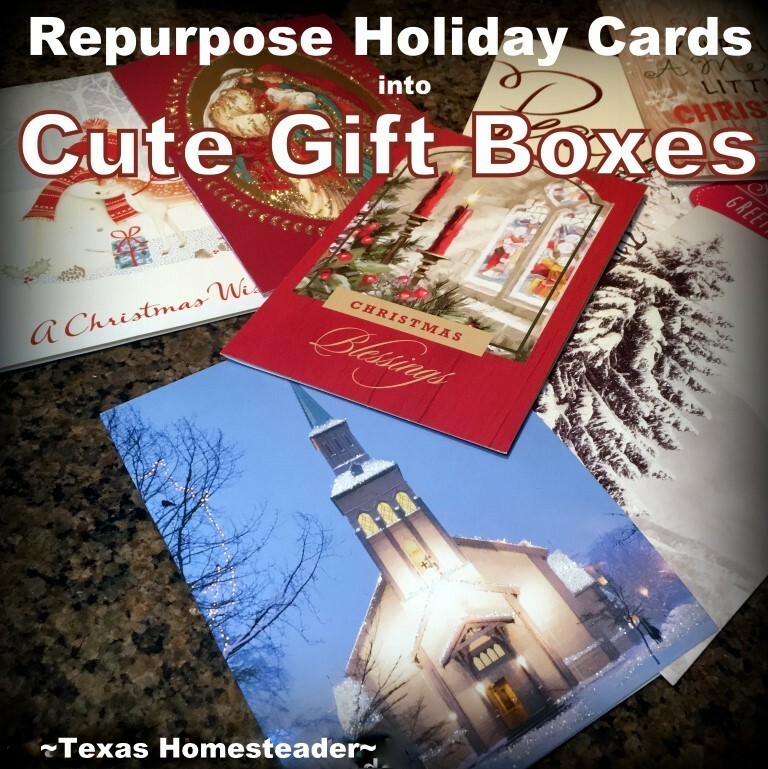 This entry was posted in Blog Posts and tagged Christmas, Environment, Frugality, Make-It-Yourself on January 5, 2018 by Texas Homesteader. This is such a great idea thank you for sharing. I love it!!! What a great way to keep the kids occupied!! Ms. Taylor, (did you hear my accent?) You are brilliant. What a good idea for reusing things we just throw away. 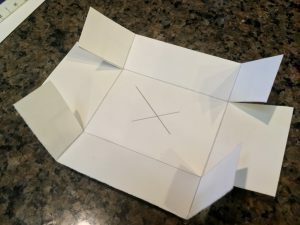 Imagine, the landfill problems we could resolve if everyone made boxes? Plus, I’m always looking for small boxes when I want to present a small gift. Now, think of something I can repurpose for larger boxes that I buy all the time for baby shower gifts. Good way to start the new year. This is such a great idea. I was telling a friend that I wish I could figure out something to do with old Christmas cards. I am going to make a bunch of these. Thanks for the directions. Hey crafty lady, those are Great. Such cute little boxes for small gift items. Do the same with birthday cards, Easter cards, etc. Great use for all them cards that people have just laying around besides making ornaments or gift tags from them. I have always donated just the front of the cards to St. Jude’s Hospital where the kids there use and make into cards themselves for them to give to parents, etc. Hey, just thoguht I’d mention that it was NOT St. Jude’s Hospital for Childres, but St. Jude’s Ranch that used to accept these cards, but they stopped a few years ago. See below. And I can’t really find anyone else who wants old cards. Jenny For the past 30 years, our beloved recycled card program taught teens work skills by creating “new” cards from used greeting cards, which were then resold in the campus thrift store and online. Unfortunately, card orders have slowly declined over the past four years. We have also experienced limited available volunteers to run the program. 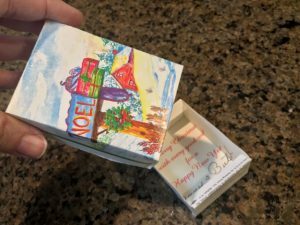 Without full-time volunteers, our recycled card program is a time consuming and expensive project as we receive large amounts of cards in the mail from around the nation. Additionally, most of our teens who are gaining life and work skills go through our transitional living program, which has developed real-life training experiences. As a result, St. Jude’s Ranch for Children has concluded its Recycled Card Program, however THERE ARE STILL MANY WAYS TO HELP! We are very grateful to the many supporters across the country that have sent us their used greeting cards over the years. We hope, as we continue to focus our efforts on saving the lives of traumatized children, that those donors will continue to support us in the years to come. At this time, we are no longer accepting orders for “new” cards via the mail. Please call 702-294-7142 or visit our store to place your orders for cards we have in stock.